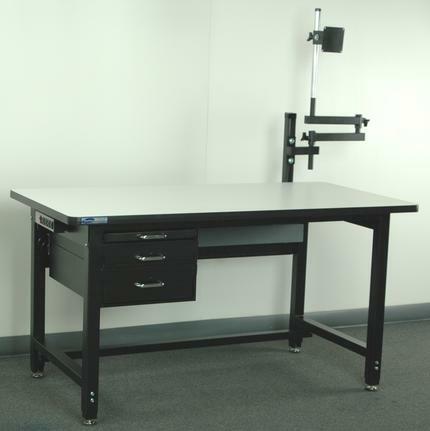 This unit features a full welded box tube frame with adjustable legs and leveling glides. 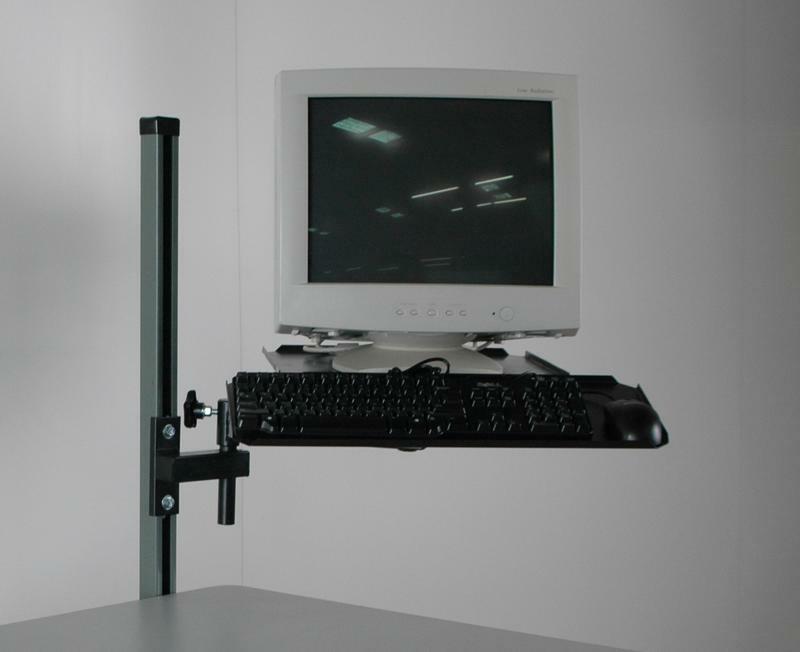 There is a pull-out tray with a stack of drawers that can be mounted on the left or right side below the work surface. 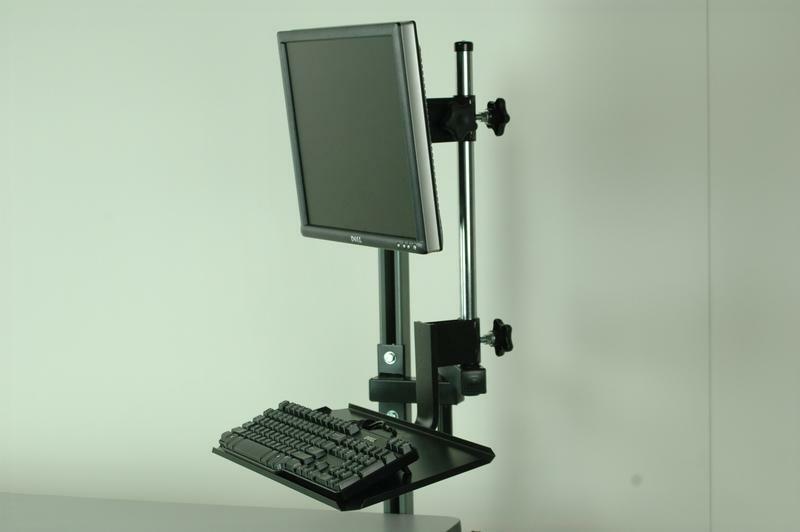 Also included is an articulating monitor arm, wire managemant along the rear of the desk, a (4) outlet electrical strip and adjustable footrest.